Simple Monster Birthday Cake and Party! If you’ve been reading my blog for at least the last year then you know that I love making cute birthday cakes for my kids. It’s pretty much the only “supermom” thing I do. I think it’s because my mom made cute cakes for us growing up, so I simply cannot not make fun birthday cakes! 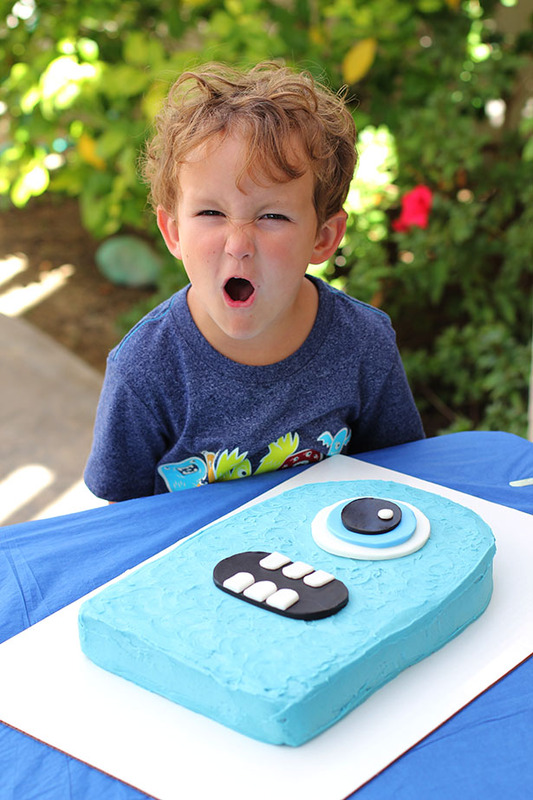 Owen recently celebrated his 5th birthday and asked for a monster-themed birthday party. 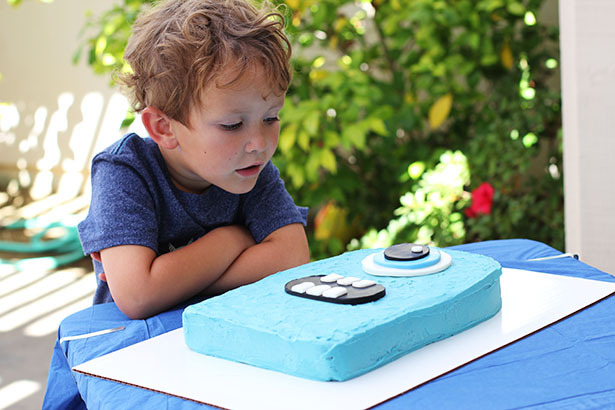 I thought I would shared how I made his cute yet simple monster birthday cake as well as give you a quick outline of the whole party. It was a lot of fun and easy to pull together, so I need to share the love! GAMES: We played two classic party games. First, Pin the Eye on the Monster. 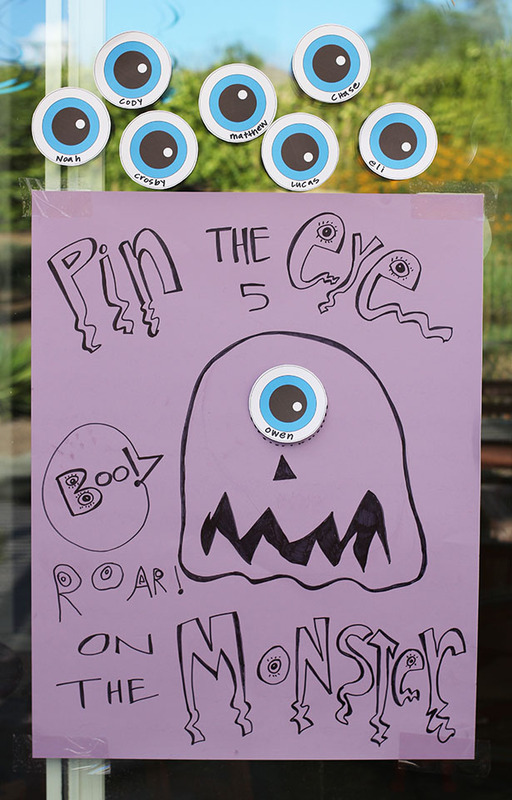 Owen and I drew the monster on posterboard then I printed out eyeballs for the kids to attach. Click here to download a PDF of the eyeballs. In addition we played Hot Potato with a stuffed monster. The kids LOVED. THE. GAMES. FOOD: Monster Cake (see below for instructions), ice cream and water. Easy peasy! GOODIE BAGS: Simple goodie bags included monster pencils, monster bendables and monster lollipops. DECORATIONS: These monster wall decals worked great for decorating. I added a couple of mylar balloons from The Dollar Tree and a few hanging decorations from Party City. Done! That’s it. Two hours of monster party fun that was cost effective and simple for me to implement, even during a busy work week. 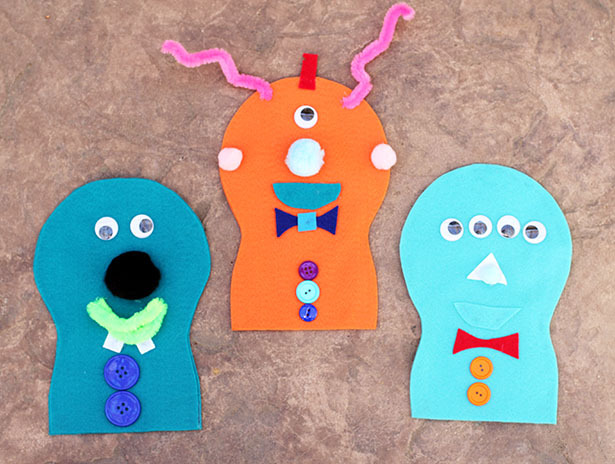 Heads up: We made 12 puppets and it took me a couple of hours to prep all the felt for the monster puppets (I worked on that while watching TV one night). And now for the cake. 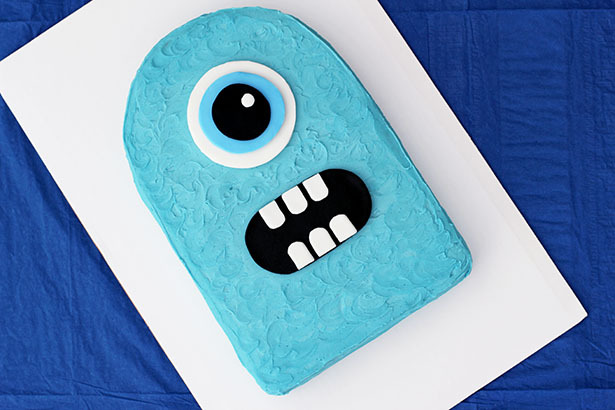 This simple monster birthday cake was one of the easiest cakes I’ve made yet. NO PIPING NECESSARY. Woohoo! Decorating the cake still takes some time (it took me about 2 hours to do all of the decorating; that does not count baking the cake the day before), but this cake design is very simple and definitely doable for all skill levels. Be sure to read my Cake Decorating Guide before diving in. 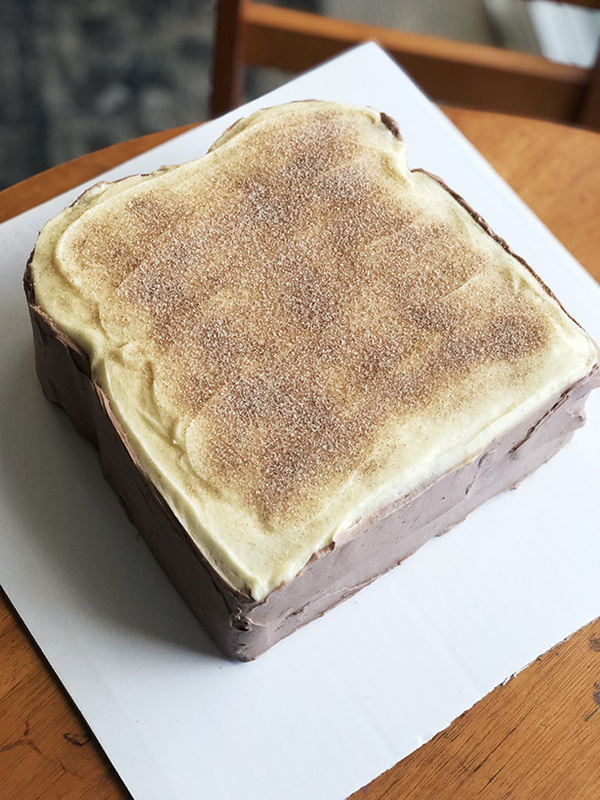 That post has all of my tips for successfully decorating cakes as well as the recipes I use for the chocolate cake and buttercream frosting. 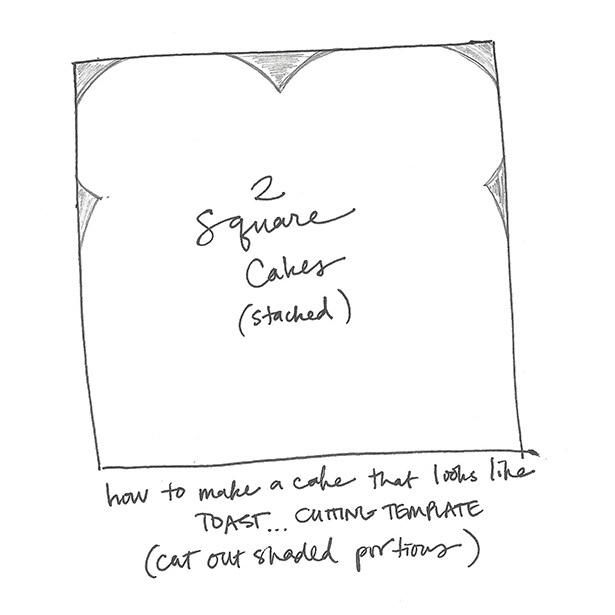 Step 1: Bake a 9″ x 13″ cake. Level cake if needed, wrap in plastic or parchment paper and freeze until hard. Step 2: Place cake top side down on a cutting board. 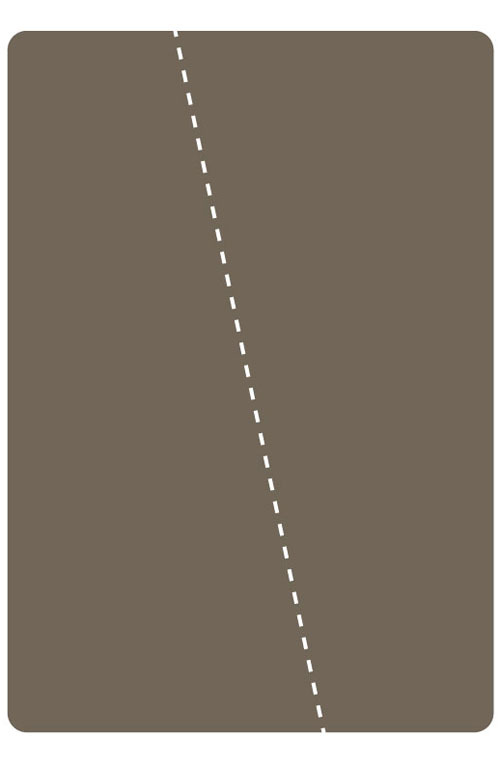 Simply cut two corners off with a curve to the cut, like you see in the photo above. The corners should be on one short end of the rectangle. 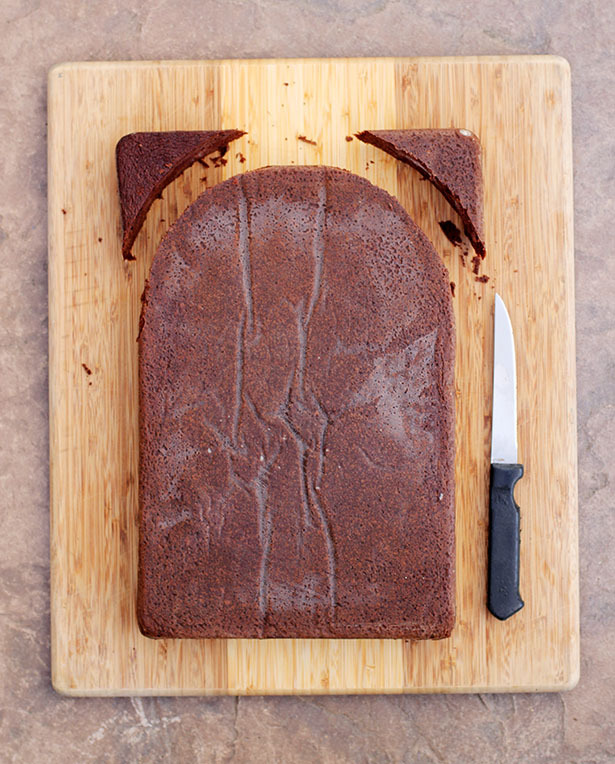 The resulting cake will look like a gravestone. Step 3: Do a crumb coat frosting layer then freeze or refrigerate until hardened. Step 4: While the crumb coat is hardening, make the eyes and mouth. I bought white rolled fondant and black rolled fondant (Wilton’s makes fondant, I buy mine at Michael’s or Joann’s). I colored some of the white fondant blue. Click here for a free printable PDF of the eyeball and mouth template. Print one copy of this page. Roll out the white fondant and place the full eyeball template on top. With a sharp knife cut around the circle. Set the large white fondant circle aside. Roll out blue fondant then cut the eyeball template down to the size of the blue circle. Place on the rolled blue fondant, cut the circle and set aside. Repeat process again for the black circle and small white circle. Stack all the circles so they look like the original eyeball template. For the mouth, roll out the black fondant, place the mouth template on top then cut around the edge, forming the oval shape. Next cut just one of the teeth shapes from the mouth template and use that with the white fondant to make six teeth. Place white fondant pieces on the black fondant mouth. Set aside. Step 5: Frost the cake with blue icing, using a knife or cake spreader to make icing on the top and sides as smooth as you can. Wash and dry your hands. Using your index finger, make little swirl marks all over the top of the monster so it looks like fur. 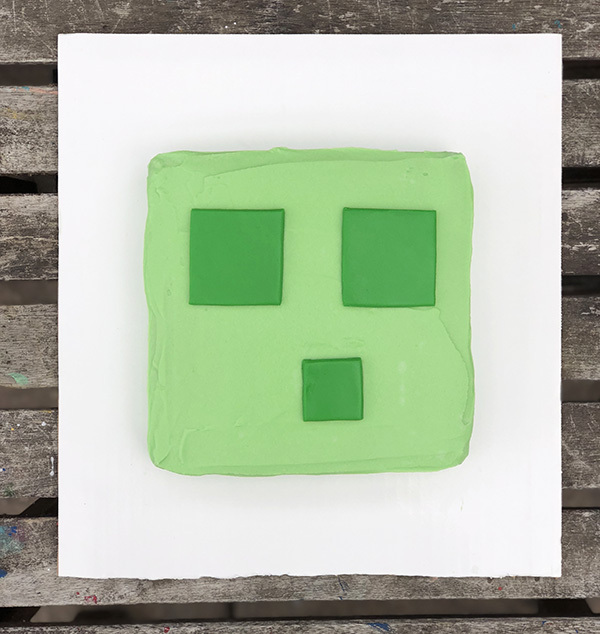 Step 6: Place the eyeball and mouth on the cake like you see in the picture above. You’re done! I’m super happy with how everything turned out, but in the end finding Owen looking at his cake like this was definitely the best part! It’s birthday season in our home, which means I’m busy whipping up cakes for the girls! 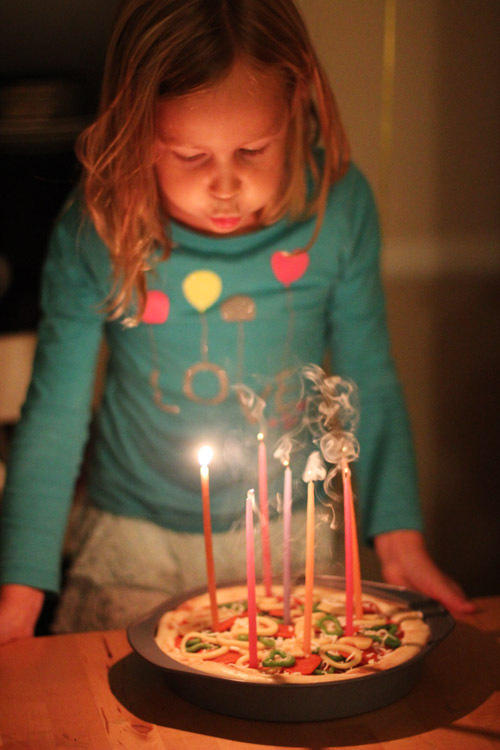 This year Anna requested a deep dish pizza cake from Cakes for Kids by Matthew Mead. I am absolutely delighted with the results and wanted to share it with you! This cake was actually quite easy to put together. Here’s how to get it done! Use a 9-inch cake. After you remove the cake from the pan to cool, wash the pan. When you level the cake, take off about 1/8-1/4″ so that when you put the cake back in the pan for display, there is space between the top of the cake and the top of the pan. Once the cake is back in the clean pan, frost the top with red-tinted butter cream for the sauce. I used red, a bit of orange, and a smidge of green to make the red color. Pipe the “crust” around the edge with buttercream that has extra vanilla extract mixed in (to make it a little more brown). I just used a ziploc bag with the corner cut to make the fat pipe with the frosting. Use cinnamon to add brown spots to the crust, rubbing in lightly with fingers. Marzipan is the key to the beautiful veggies on top! For one 9-inch cake you need a 7-ounce package of marzipan, found in the baking aisle at the grocery store. Divide the marzipan into 4 equal parts. When you roll out the marzipan, place parchment paper both underneath and on top when rolling. For the mushrooms, roll out the marzipan thin and cut mushrooms freehand, using a bit of cinnamon to add color. 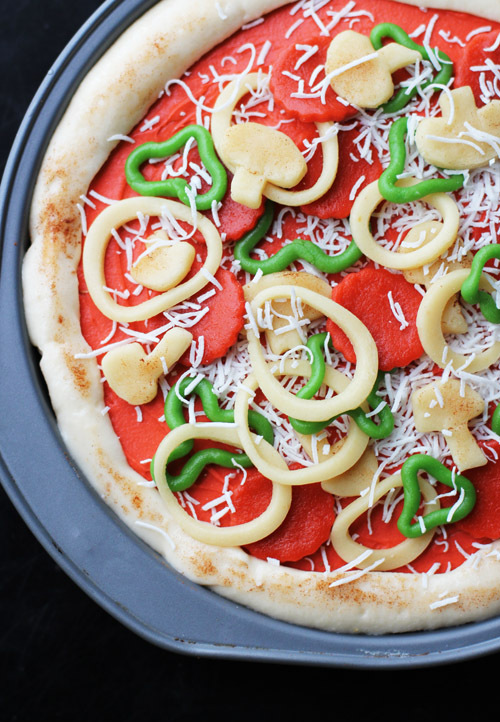 For the bell peppers, knead in green food coloring with a bit of brown, then roll pieces of marzipan out into a skinny snake shape, make circles and then crimp the circle like a pepper. For the pepperoni, knead in red and a bit of brown food coloring into the marzipan and then roll out thin. Using a small circle cutter, cut circles and then texture with a pastry brush (genius!). I used the rippled edge side of my round cutter for the pepperoni. For the onions, roll out the marzipan then use concentric round cutters to make the onion shapes. Unsweetened shredded coconut worked perfectly for the cheese! I sprinkled most of the cheese directly on the “sauce,” then placed the veggies and sprinkled a bit more “cheese” on top. Voila! Deep Dish Pizza…that tastes like cake! It was seriously funny all afternoon with the cake sitting on the counter. It really looked like a pizza! 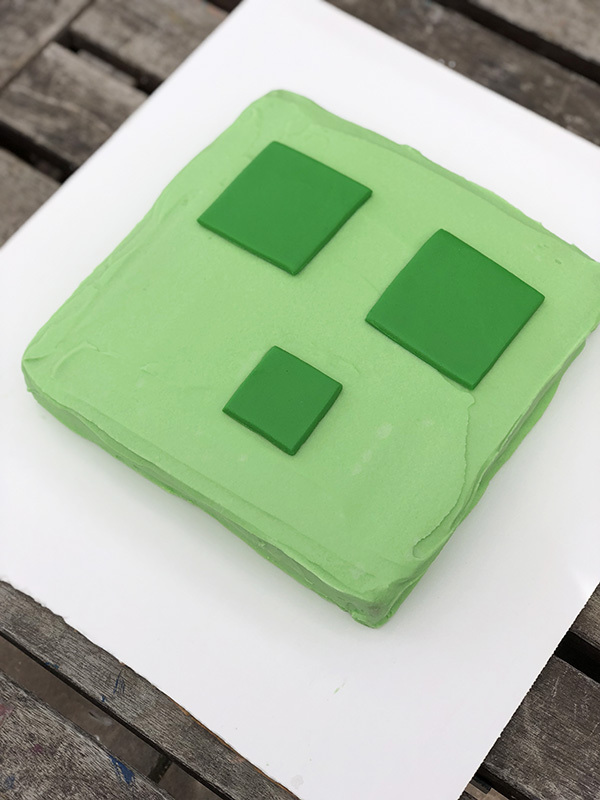 This cake was one of the easier ones I’ve done, so I have to share the step-by-step with you. 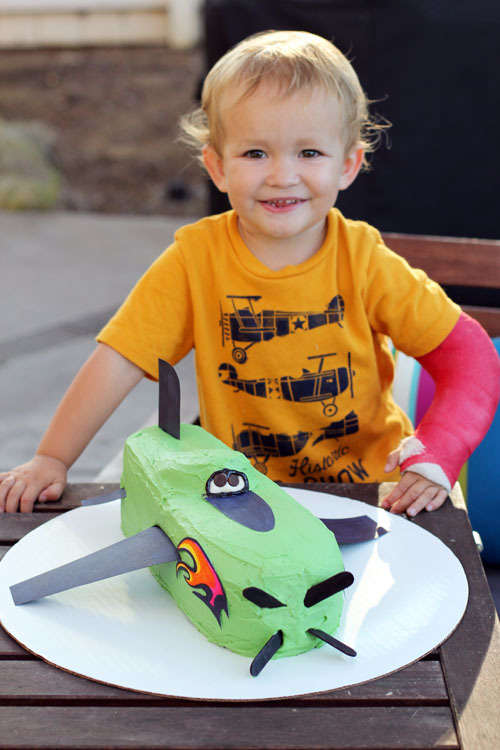 Here’s how to make an airplane birthday cake! 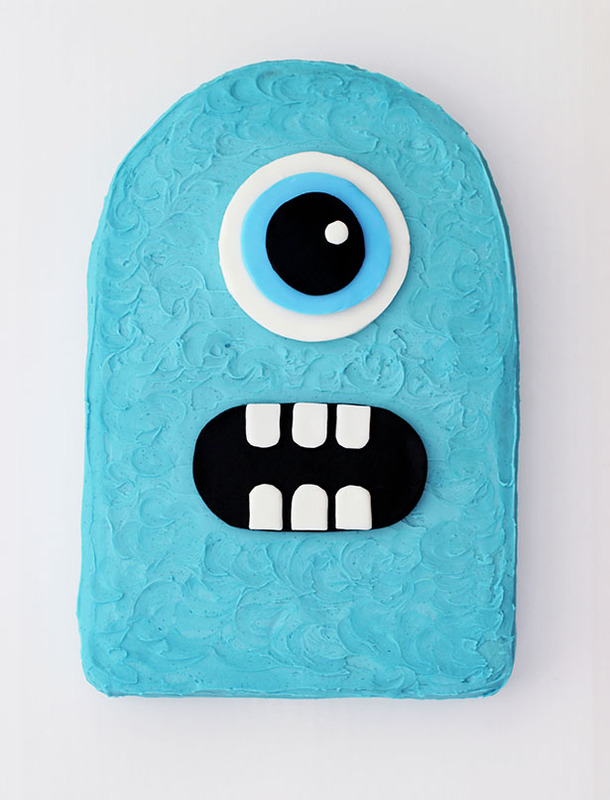 Bake a 9″x13″ standard cake. 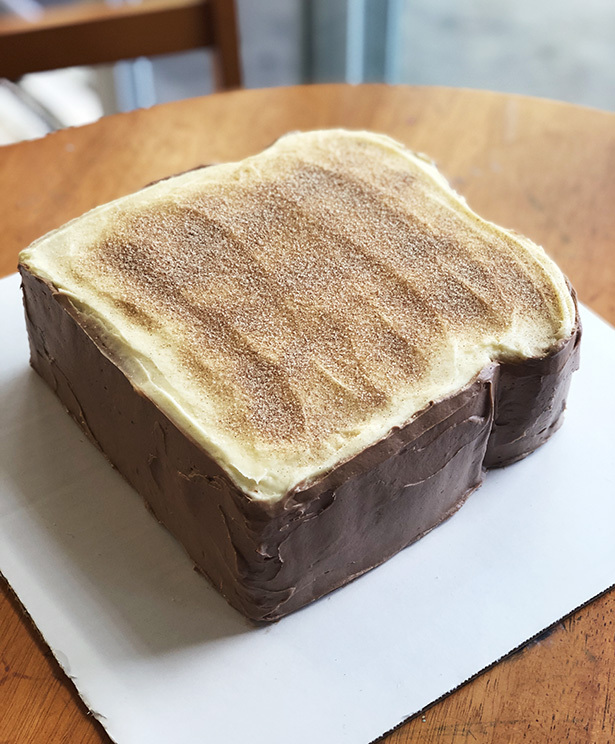 I used my favorite chocolate cake recipe (which you can find in this linked post) and it made for a nice tall cake, which gave the plane more height. I doubled the frosting recipe in that same post, which gave me enough frosting for the crumb coat and final coat with a bit left over. After you bake the cake, freeze it. Once it’s frozen, make one cut as shown in the diagram below, then flip one of the pieces so it lines up with the other piece perfectly when you stack them. The fat end of the triangle you created is the front of the plane – the smaller end is the back of the plane. Shape the front to round it off. 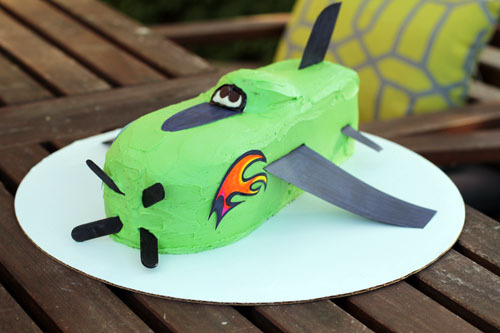 Once the cake was done, I wished I had also angled the back end of the plane down a bit so that the entire plan had an upward slant towards the front of the plane, instead of just parallel to the ground (know what I mean?). Feel free to play with the shape or just keep it super simple like I did. I used one of the pieces of cake I cut off the front when shaping the nose of the plane to create the cockpit on top. 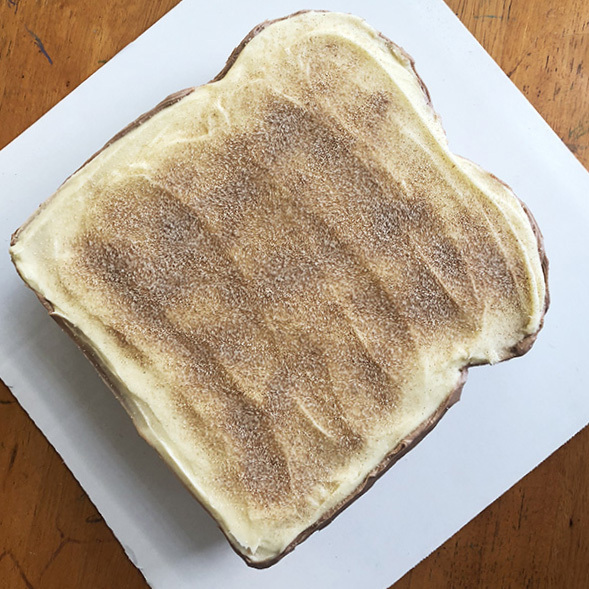 Frost between the layers, and then follow the directions in my cake-making guide post for frosting (freezing cake, crumb coat, etc.) The beauty of this cake is you only need ONE COLOR OF FROSTING! Save a bit of white for the window, but other than that you can just make all the frosting one color. For the wings and things, I used cardstock! Just cut them into the shape you like and then stick the shaped wings and things right into the cake. You can get colored cardstock or just color white cardstock with a permament marker the color you want he wings to be. (Since I was making Ripslinger, I also made the flames out of cardstock colored with permanent markers and stuck them to the side using frosting as glue.) Don’t worry, no marker transferred to the frosting anywhere! The propellors were 2 popsicle sticks colored with black Sharpee marker, broken in half and then stuck in the front. I should have put a black circle of frosting or a Junior Mint on the front in the middle of the propellors. I didn’t, but you can! White frosting and black piped frosting made the window in the cockpit, and chocolate chips, stuck pointy side in, served as the eyes. Show and tell time! I just have one quick share today. 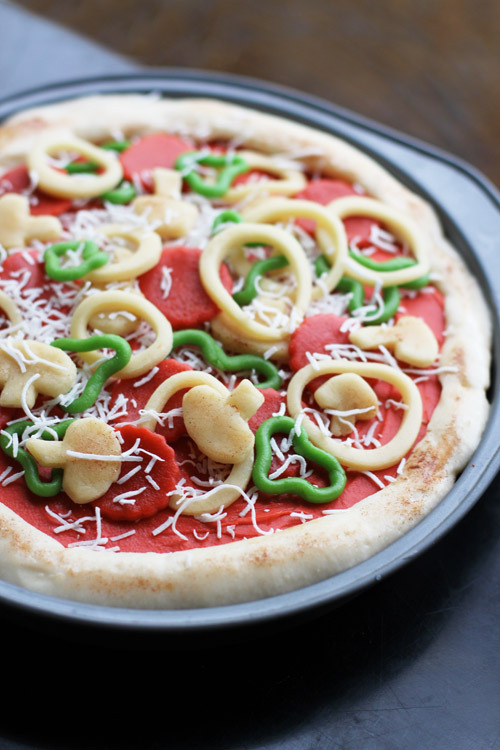 I put together a really fun post for Babble of CRAZY stuff my friends’ kids have eaten. It’s pretty awesome. Be sure to click through and check it out! As usual, feel free to share anything you like in the comments, it’s show and tell after all!